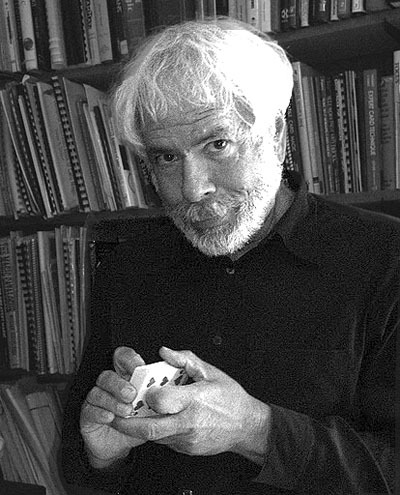 Allan Zola Kronzek is an author, educator, and magician. His programs The Art of Fooling, The Magician’s Art and Scientific Inquiry, and Exploring the Magical World of Harry Potter are regularly featured at colleges, libraries, and schools throughout the New York area. He is the author of The New York Times bestseller The Sorcerer’s Companion—A Guide to the World of Harry Potter; A Book of Magic for Young Magicians – The Secrets of Alkazar, and 52 Ways to Cheat at Poker – How to Spot Them, Foil Them, and Protect Yourself Against Them. When not visiting schools, Allan performs close-up and strolling magic at private social events, corporate affairs, benefits, and family parties. He has appeared at New York City’s Monday Night Magic and has been featured on CNN. He has published original magical routines for fellow magicians, most recently Destiny, Chance and Free Will. He lives in Sag Harbor, Long Island, NY. Copyright 2011 Alan Kronzek. Awesome Inc. theme. Powered by Blogger.